“There are two equal and opposite errors into which our race can fall about the devils. One is to disbelieve in their existence. The other is to believe, and to feel an excessive and unhealthy interest in them. They themselves are equally pleased by both errors and hail a materialist or a magician with the same delight.” C.S. Lewis, The Screwtape Letters. For Christians, it is essential that we understand the tactics of our enemy. I have no desire to become preoccupied with the demonic world, but we must understand the way our adversary seeks to destroy us. We battle the world, the flesh and the devil on a daily basis. The Bible teaches us that the whole world lies under the power, sway, or influence of the evil one. Your enemy is not the Republican or Democratic party. Both Conservatives and Liberals are influenced by a demonic worldview. C. S. Lewis warned in his book Screwtape Letters, that Satan could be equally effective through someone who is either a pacifist or patriot. It really doesn’t matter to the devil which extreme views you believe. The fact is we are dealing with principalities, powers, and cosmic forces and demonically inspired ideologies that affect all areas of society. The educational system, politics, entertainment, economics and all the cultures in the world are under the enemies’ influence. Religion is also influenced, by the cosmic forces of evil. Satan seeks to corrupt the gospel (the gospel is not a religion – it’s a proclamation) by making salvation something that must be earned by good works. We as professing Christians often ignore the truth of the Scripture and create a “god” in our own image. Religion often twist the truth of the Gospel to conform to all other world religions which are not based on free grace. Jesus came to bring good news and he came to set captives free, but we must trust in him as our God and Savior. He came to show us what our Heavenly Father really looks like, and that we can know the truth and that truth (Jesus) will set us free. Jesus came to destroy the works of the devil and he continues to do that today through the advancement of his Kingdom. Prayer, worship, confession of sin, forgiveness, Communion, and the proclamation of the gospel are all weapons God has given us. “Everyone then who hears these words of mine and does them will be like a wise man who built his house on the rock. And the rain fell, and the floods came, and the winds blew and beat on the house, but it did not fall because it had been founded on the rock. Those of us that failed to lay the proper foundation at the beginning of our life in the Spirit, are graciously given opportunities to rebuild. At least that has been my experience. When the storms and floods came against me as a young person – my foundation was severely damaged. Some of us started our spiritual life trusting Jesus and seeing the futility of a life without God. But as life got harder, we bailed out on Him for a season. But fear not! If you really belong to God he will draw you back to Himself. How do we rebuild on the proper foundation? Turn to God in prayer, confessing our inability to live life apart from his saving and empowering grace. Acknowledge the fact that we have made other things in our lives, functional saviors. And make meditation on scripture a priority, with the intention to obey what we learn. It’s also important to find a community of believers to experience life in the Spirit together. We were created in the image of God, but born into this world spiritually dead. We need spiritual rebirth,(John 3:16) but that is only the beginning of our life in Christ. We are presently on a journey, and growth is a process. So, consider going back to revisit the foundation, did you really trust in Jesus to rule your life? If not, consider starting over, and remember opposition in life is for the purpose for spiritual growth, and to help others on their journey. The Holy Spirit passes on Jesus’ words as clearly as Jesus passed on the Father’s. We should be able to hear Jesus’ voice as clearly today as his disciples did two thousand years ago and­— since we see things in light of the resurrection— understand his message better. Of course, Christians have often abused the promise of hearing God’s voice, hearing instead only what they wanted or expected to hear. What objective guidelines can help us learn sensitivity to the Spirit and enable us to hear God’s direction accurately? First of all, the Spirit does not come to testify about himself; He comes to testify about Jesus (John 15:26; 16:14). He brings to our remembrance and explains what Jesus has already said (14:2 6). What the Spirit teaches us is therefore consistent with the character of the biblical Jesus, the Jesus who came in the flesh (1 John 4:2). The more we know about Jesus from the Bible, the more prepared we are to recognize the voice of his Spirit when he speaks to us. Knowing God well enough to recognize what he would say on a given topic can often inform us what God is saying, because God is always true to his character. But be warned: those who take Scripture out of context thereby render themselves susceptible to hearing God’s voice quite wrongly. Second, the Spirit does not come merely to show us details such as where to find someone’s lost property, although the Spirit is surely capable of doing such things and sometimes does them (1 Sam. 9:6-20). Nor does the Spirit come just to teach us which sweater to put on (especially when it is obvious which one matches) or which dessert to take in the cafeteria line. The Spirit does, however, guide us in evangelism or in encouraging one another (for example, Acts 8:29; 10:19; 11:12.) The Spirit also comes to reveal God’s heart to us, and God’s heart is defined in this context as love (John 13:34-35; 15:9-14, 17). To walk in Christian love is to know God’s heart (1 John 4:7-8; see also Jer. 22:16). Third, it helps if we have fellowship with others who also are seeking to obey God’s Spirit. In the Old Testament, older prophets mentored younger prophets (1 Sam. 19:20; 2 Kings 2:3-8). And among first-generation prophets in the early church, Paul instructed the prophets to evaluate each others’ prophecies, to keep themselves and the church on target (1 Cor. 14:29). Spiritual mentors or peers who are mature in their relationship with God and whose present walk with God we can trust can seek God with us and provide us a “safety net” of sorts. If we feel that the Spirit is leading us to do something, but recognize that much is at stake if we are wrong, we may do well to talk the matter over with other mature Christians. Proverbs advised rulers that wisdom rests in a multitude of counselors, and that advice remains valid for us as well. In the end, we may not always settle on the counsel others have given us— like us, they too are fallible— but if they are diligent students of the Scriptures and persons of prayer, we should humbly consider their counsel. God sometimes shows us things for the church that others may not yet see; at the same time, God may well have shown some of our brothers and sisters things we have not yet seen. I have a few spiritual mentors and peers whose counsel I especially treasure and whose wisdom time has consistently (though not always) vindicated. Many of us as young Christians were intrigued by the frequent experience of supernatural guidance from the Holy Spirit. While most of us who have learned to hear the Spirit in that way still experience such guidance regularly today, after a number of years, sensitivity to the Spirit’s guidance in that form becomes almost second nature and thus becomes less of a focus than it once was. Nor is this guidance, exciting as it may be to one discovering it for the first time, always the most important form of guidance God’s Spirit gives us. By this method of hearing the Spirit, we might help someone in need, because the Spirit specifically directed us to do so. But many of us have also learned to hear God’s Spirit exegetically, as the Spirit has spoken in the Scriptures. By hearing the Spirit’s voice in Scripture, we might help that same person in need simply because Scripture commands us to do so. But perhaps the deepest sensitivity to the Spirit comes when we learn to bear the Spirit’s fruit in our lives­ when our hearts become so full of God’s heart that we help that person in need because God’s love within us leaves us no alter­ native. All three forms of guidance derive from the Spirit and from Scripture. Yet where needs clearly exist, God’s character that we have discovered by means of Scripture and the Spirit is sufficient to guide us even when we have no other specific leading of the Spirit or scriptural mandate, provided neither the Spirit nor the Bible argues against it. It is when the Spirit has written the Bible’s teaching in our heart that we become most truly people of the Spirit. Craig Keener: Are Spiritual Gifts For Today? I copied these quotes from church history from Sam Storms, Enjoying God Blog, May 24, 2013. “The Epistle of Barnabas (written sometime between 70 and 132 a.d.), says this of the Holy Spirit: “He personally prophesies in us and personally dwells in us” (xvi, 9, Ancient Christian Writers, 6:61). The author of The Shepherd of Hermas claims to have received numerous revelatory insights through visions and dreams. This document has been dated as early as 90 a.d. and as late as 140-155 a.d.
“Therefore, just as God did not inflict His anger on account of those seven thousand men, even so He has now neither yet inflicted judgment, nor does inflict it, knowing that daily some [of you] are becoming disciples in the name of Christ, and quitting the path of error; who are also receiving gifts, each as he is worthy, illumined through the name of this Christ. For one receives the spirit of understanding, another of counsel, another of strength, another of healing, another of foreknowledge, another of teaching, and another of the fear of God” (Dialogue with Trypho, ch.39). “For the prophetical gifts remain with us, even to the present time. And hence you ought to understand that [the gifts] formerly among your nation have been transferred to us. And just as there were false prophets contemporaneous with your holy prophets, so are there now many false teachers amongst us, of whom our Lord forewarned us to beware; so that in no respect are we deficient, since we know that He foreknew all that would happen to us after His resurrection from the dead and ascension to heaven” (Dialogue with Trypho, ch.39). “For numberless demoniacs throughout the whole world and in your city, many of our Christian men, exorcising them in the name of Jesus Christ, who was crucified under Pontius Pilate, have healed and do heal, rendering helpless and driving the possessing devils out of the men, though they could not be cured by all the other exorcists, and those used incantations and drugs” (Second Apology, vi; Ante-Nicene Fathers 1:190). “Wherefore, also, those who are in truth His disciples, receiving grace from Him, do in His name perform [miracles], so as to promote the welfare of other men, according to the gift which each one has received from Him. For some do certainly and truly drive out devils, so that those who have thus been cleansed from evil spirits frequently both believe [in Christ], and join themselves to the Church. Others have foreknowledge of things to come: they see visions, and utter prophetic expressions. Others still, heal the sick by laying their hands upon them, and they are made whole. Yea, moreover, as I have said, the dead even have been raised up, and remained among us for many years. And what shall I more say? It is not possible to name the number of the gifts which the Church, [scattered] throughout the whole world, has received from God, in the name of Jesus Christ, who was crucified under Pontius Pilate, and which she exerts day by day for the benefit of the Gentiles, neither practicing deception upon any, nor taking any reward from them [on account of such miraculous interpositions]. For as she has received freely from God, freely also does she minister [to others]” (Against Heresies, Book 2, ch.32, 4). “Nor does she [the church] perform anything by means of angelic invocations, or by incantations, or by any other wicked curious art; but, directing her prayers to the Lord, who made all things, in a pure, sincere, and straightforward spirit, and calling upon the name of our Lord Jesus Christ, she has been accustomed to work miracles for the advantage of mankind, and not to lead them into error” (Against Heresies, Book 2, ch.32, 5). “In like manner we do also hear many brethren in the church, who possess prophetic gifts, and who through the Spirit speak all kinds of languages, and bring to light for the general benefit the hidden things of men, and declare the mysteries of God, whom also the apostle terms ‘spiritual,’ they being spiritual because they partake of the Spirit” (Against Heresies, Book 5, ch.6, 1). Tertullian (d. 225; he first coined the term Trinity) spoke and wrote on countless occasions of the operation of the gifts of the Spirit, particularly those of a revelatory nature such as prophecy and word of knowledge. 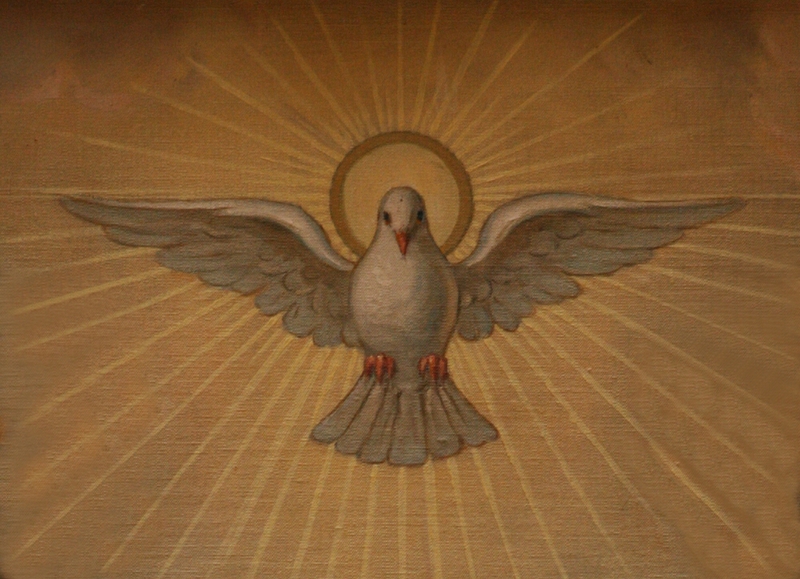 “But from God – who has promised, indeed, ‘to pour out the grace of the Holy Spirit upon all flesh, and has ordained that His servants and His handmaids should see visions as well as utter prophecies’ – must all those visions be regarded as emanating . . .” (A Treatise on the Soul, xlvii, ANF, 3:225-26). “For, seeing that we acknowledge spiritual charismata, or gifts, we too have merited the attainment of the prophetic gift, although coming after John (the Baptist).” This lady has been “favoured with sundry gifts of revelation” and “both sees and hears mysterious communications; some men’s hearts she understands, and to them who are in need she distributes remedies. . . . After the people are dismissed at the conclusion of the sacred services, she is in the regular habit of reporting to us whatever things she may have seen in vision (for her communications are examined with the most scrupulous care, in order that their truth may be probed). . . . Now can you refuse to believe this, even if indubitable evidence on every point is forthcoming for your conviction?” (A Treatise on the Soul, ix, ANF, 3:188). “Let Marcion then exhibit, as gifts of his god, some prophets, such as have not spoken by human sense, but with the Spirit of God, such as have both predicted things to come, and have made manifest the secrets of the heart; . . . Now all these signs (of spiritual gifts) are forthcoming from my side without any difficulty, and they agree, too, with the rules, and the dispensations, and the instructions of the Creator” (Against Marcion, v.8, ANF, 3:446-47). We also have extensive evidence of revelatory visions in operation in the life of the martyrs Perpetua and her handmaiden Felicitas (202 a.d.). I encourage everyone to read the moving account of Perpetua’s perseverance in faith despite the most horrific of deaths. It’s also important that we briefly take note of the movement known as Montanism (of which Tertullian was a part in his later years). Montanism arose in Phrygia in about a.d. 155, although Eusebius and Jerome both date the movement to a.d. 173. What did the Montanists believe and teach that had such a significant impact on the ancient church and its view of spiritual gifts? Several items are worthy of mention. First, Montanism at its heart was an effort to shape the entire life of the church in keeping with the expectation of the immediate return of Christ. Thus they opposed any developments in church life that appeared institutional or would contribute to a settled pattern of worship. Needless to say, those who held official positions of authority within the organized church would be suspect of the movement. “For Montanus spoke, saying, ‘I am the father, and the son and the paraclete. '” (Found in the writings of Didymus On the Trinity, 3:41). “You shall not hear from me, but you have heard from Christ” (Quoted in Epiphanius, Panarion, 48:12; col. 873). If this is what Montanus taught, he would be asserting that, when a prophet prophesied, God was in complete control. Man is little more than an instrument, such as the strings of a lyre, on which God plucks his song or message. Man is asleep, in a manner of speaking, and thus passive during the prophetic utterance. “lifted in ecstasy above the natural operations of their minds by the impulses of the Divine Spirit, [and that they] uttered the things with which they were inspired, the Spirit making use of them as a flute player breathes into a flute” (A Plea for the Christians, 9). The point is that, at least on this one point, the Montanists were not espousing a view of prophecy that was significantly different from what others in the mainstream of the church of that day were saying. Fourth, the gift of tongues was also prominent among the Montanists, as was the experience of receiving revelatory visions. Eusebius preserved a refutation of Montanism written by Apolinarius in which the latter accused these “prophets” of speaking in unusual ways. For example, “He [Montanus] began to be ecstatic and to speak and to talk strangely” (quoted in Kydd, Charismatic Gifts in the Early Church, 35). Again, Maximilla and Prisca are said to have spoken “madly and improperly and strangely, like Montanus” (ibid.). Finally, he refers to the Montanists as “chattering prophets”. We cannot be certain, but the word translated chattering, found nowhere else in all of Greek literature, may refer to speaking at great length in what sound like languages, i.e., speaking in tongues. Fifth, Montanus did assert that this outpouring of the Spirit, of which he and his followers were the principal recipients, was a sign of the end of the age. The heavenly Jerusalem, said Montanus, will soon descend near Pepuza in Phrygia. They also stressed monogamy and insisted on chastity between husband and wife. They were quite ascetic in their approach to the Christian life (which is what attracted Tertullian into their ranks). They strongly emphasized self-discipline and repentance. Finally, although Montanism was often treated as heresy, numerous authors in the early church insisted on the overall orthodoxy of the movement. Hippolytus spoke of their affirmation of the doctrines of Christ and creation and the “heresy hunter” Epiphanius (a.d. 315-403) conceded that the Montanists agreed with the church at large on the issues of orthodoxy, especially the doctrine of the Trinity. Epiphanius wrote that the Montanists were still found in Cappadocia, Galatia, Phyrgia, Cilicia, and Constantinople in the late 4th century. This assessment was confirmed by Eusebius who devoted four chapters of his monumental Ecclesiastical History to the Montanists. Didymus the Blind (a.d. 313-98) wrote of them, and the great church father Jerome (a.d. 342-420) personally encountered Montanist communities in Ancyra when he was travelling through Galatia in 373. The point being that Montanism was alive and influential as late as the close of the 4th century. The key to learning, or discerning the “still small voice” of God is to have a daily devotional time of meditation in the Scripture, and to pray for others. And to learn the lost art of silence. The best way I know to develop the gift of prophecy is in small group meetings. This is a safe place to develop your gifting. Just as someone with the gift of teaching needs to practice, the same principle applies to all other spiritual gifts. God often reveals things that bring encouragement in these meetings. He desires to reveal himself in our present circumstances, and over the years, I have heard words given that have impacted lives powerfully. Many of these words have been simple words of encouragement, some have been very specific, but the result is always a sense of awe that God is truly among us. God still speaks apart from, but not contrary to his Word. And yes, I believe in the authority and sufficiency of Scripture. But it’s actually contrary to the Word of God to teach that the Spirit only communicates through the Bible. Spiritual gifts as well as providential circumstances are means that God uses to communicate to us. ” My prayer is to those who have such a high regard for the written word of God would come to see the importance of the “still small voice.” This gifting is meant to be practices . It’s meant to bring comfort and encouragement to believers and to open the hearts of unbelievers to the supernatural God. This gift can be best used in our intercessory prayers for others. Storms also says:”I believe that when people pause and pray, when they linger over one another with intercessory cries, the Spirit is more inclined to speak to them than if they simply pat each other on the back with the standard Christian cliché: “I’ll be praying for you.” Don’t promise to pray for people. Practice praying for them. Just do it! ” – Sam Storms, Practicing The Power, Page 46. I would recommend reading commentaries, and books by those who believe in the present day operation of spiritual gifts. Wayne Grudem, Craig Keener and Sam Storms are three of my favorites. I will be posting Part Three soon. I believe every Christian has heard the voice of God, even if they didn’t recognize it, at the time. Those fleeting thoughts, mental pictures, the still small voice, the feeling of being prompted to speak a word of encouragement, to call someone that’s been on your mind, dreams that strongly impact you, or the times while meditating upon the Scriptures, they just come alive to us. The Holy Spirit also gives supernatural direction on how to pray for others, during intercessory prayer. I really believe the lack of balanced teaching on the gift of prophecy, and on the supernatural ministry of the Holy Spirit, has hurt the effectiveness of the Church, in advancing the Kingdom. I have seen the abuse of prophetic ministry, but I have never stopped believing that God still speaks today. Why? Because the Bible teaches it, and I, and others that I trust, have experienced some of the unique ways that he communicates to believers. The Scripture discourages the practice of speaking in tongues in the congregation, if there is no one to interpret the message. And that’s because of the presence of unbelievers, but prophesy is always encouraged. I might add that the gift of prophecy is normally easier to facilitate in a small group setting. (1) Wayne Grudem, The Gift Of Prophecy, page 154. I have never really understood the type of Christianity that teaches that you can ‘accept’ Jesus without following him. Some say,” just repeat this prayer and you will go to Heaven.” But true salvation requires genuine trust in Jesus, and turning from your own way of life to follow him. I do understand what it means to become spiritually dry, and the feeling of distance from God because of my own sin. Sin and rebellion against God causes a hardness in our hearts and has a negative effect on our relationship with Him and others. Following Jesus puts us on the path of life and causes us to walk in the light. Spiritual darkness will have you perceiving evil things as good and good things as evil. Walking in the light allows you to learn from Jesus, and to see life from a Biblical or Kingdom perspective. You will be empowered to spiritually discern what is going on around you, and in the culture in general. Jesus made a startling statement,, “unless you believe that I am he you will die in your sins.” (John 8:24) This belief is much more than mere head knowledge or intellectual assent, this is trusting Jesus in all that he said and did. Following Jesus requires us to acknowledge his Deity, absolute Lordship, and authority over everything. As I was meditating on the Spirit’s presence in my life, I could not help but be overwhelmed with the thought of how the Holy Spirit’s guidance works on a daily basis. We need the Spirits power to stand strong during the personal trials that we all go through, as much as we need Him to heal the sick or supply us with powerful manifestations. The power to persevere is accomplished by the Spirit, not by self effort alone. Left to my own self discipline I would have fallen away a long time ago. It’s important that we stop treating the Holy Spirit as a impersonal force instead of the Person he is. We need to take time to meditate on the Spirit’s activity in our daily lives. Gordon Fee says,”…Paul understood the Spirit’s power in the broadest possible way. On the one hand, the future had broken in so powerfully that signs and wonders and miracles are simply matter-of-fact (1 Cor.12:8-11; Gal 3:5); on the one hand, the Spirit also empowers for endurance in the midst of adversity (Col 1:11; 2 Cor 12:9-10) – and for everything else as we endure, awaiting the final glory, of which the Spirit is the guarantee.” – Gordon Fee, God’s Empowering Presence. The picture above is the Primitive Baptist Church my Great Grandfather who fought for the south in the Civil War, belonged too. And now, over a century and half later, I’m a member of a racially diverse church in the deep south. While many in our culture have given up on the Church, God hasn’t. The Church as flawed as it presently is, is God’s vehicle to bring the Kingdom of Heaven to earth. The Church is where the people of “the way” live out the life of the Kingdom together. Gathering together with a group of imperfect people is God’s plan to help us to grow up in Christ. And one of the fruits of a gospel-centered church is racial reconciliation. Holy Communion is the most neglected part of church life among many Evangelical churches. The power of the Lord’s Supper is not fully grasp by most.But this seemingly weak act, celebrates the death, and resurrection of Jesus, which defeated Satan and his evil cohorts. Every time we partake of the elements the devil is reminded of his fate. If we could see what happens at the weakest church service in the spirit realm, we would desire to celebrate the resurrection of our Lord Jesus even more! (1) The Way Of The Dragon Or The Way Of The Lamb, Jammin Goggin and Kyle Strobel, page 167.